COMING SOON IN 2018—The Residences at Mandarin Oriental, Boca Raton. Introducing the hottest development in luxury real estate and ultra-luxury living. Fill out this e-registration form and send it to us to find out more. Don't let this investment opportunity pass you by—reserve your space today! At The Residences, you'll get to enjoy the daily perks of staying in the only five-star hotel in Boca, which includes first class amenities like the Spa at Mandarin Oriental, Via Mizner Golf and City Club, nearby designer boutique shopping and world-class dining, 24-hour concierge and car valet, and much more. But unlike Mandarin hotel guests, you will have full use of a private residents' entrance and the residents-only resort-style rooftop pool, overlooking the city below. Optional amenities also include daily housekeeping services and in-residence catering from private chefs, and more. 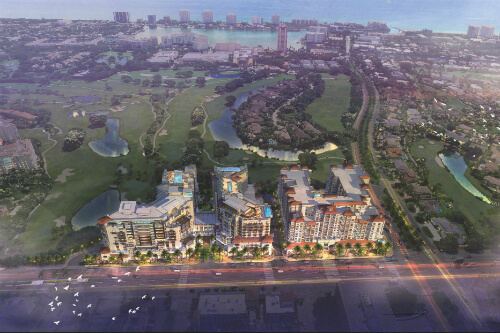 There are 102 upscale residences available, with over 12 master-designed floor plans to choose from, each featuring sleek, modern interiors, designer detailing and accents, and the best of both worlds when it comes to ocean and golf course views from your very own living space. The Residences at Mandarin Oriental Real Estate Listings—Coming Soon! Didn't find what you were looking for? Fill out the form below and let The Residences at Mandarin Oriental property find you instead!